Flying Wagyu - Anubis was looking for a new home and found a GREYT home to enjoy in Western Hills with Peg, Wiley and Cara. 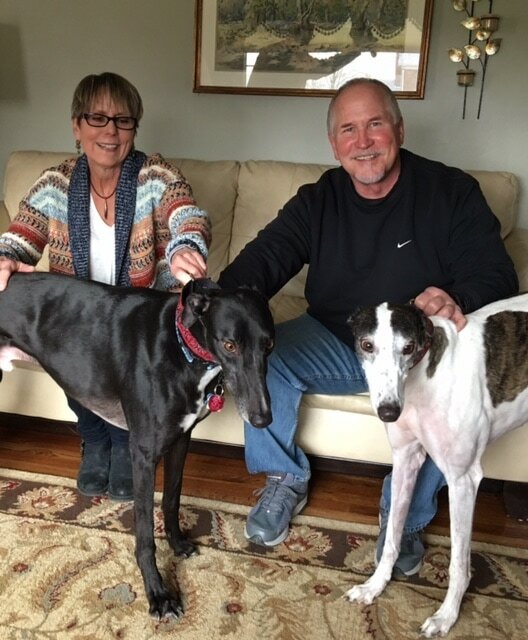 This family has been greyhound owners for a long time and have always been supportive of GAGC. They adopted Cara last year and when they heard this sweet boy was available they knew she would love having Anubis join their family. I'm sure we'll see them at events this year!